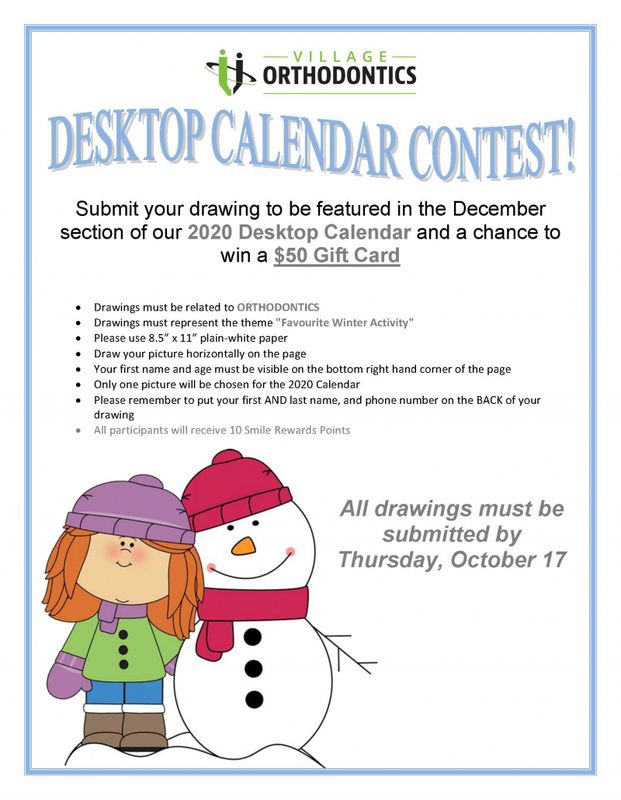 Enter in our Village Orthodontics Contest to win Smile Rewards points! 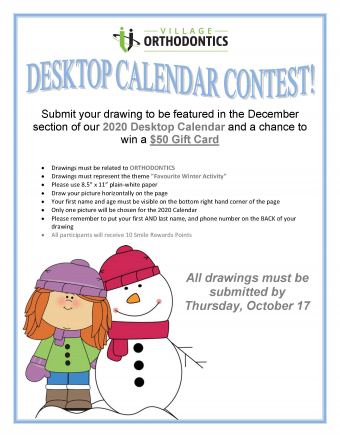 Entries must be orthodontics-related and follow theme "Favourite Winter Activity"
Please use plain 8.5" x 11" plain white paper and draw your picture horizontally on the page. All participants will win 10 Smile Rewards Points. Earn Your Smile Rewards Today! Download the Village Orthodontics Mobile App To Stay Connected! Learn all you need to know about Village Orthodontics! Enter your email to download FREE information and FAQs sheets.